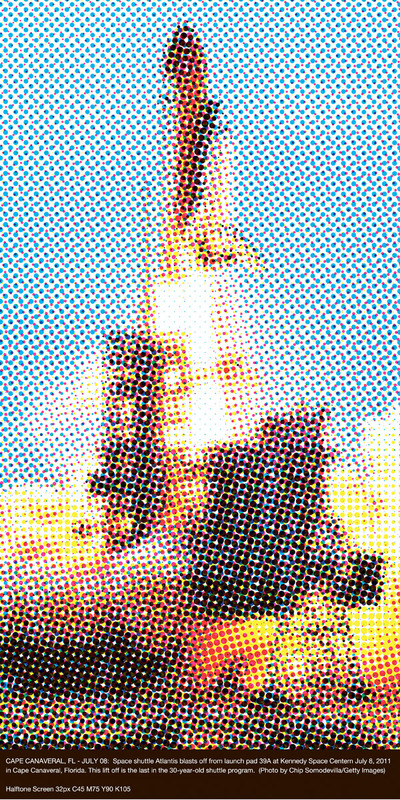 I’ve been working on a way to re-create the halftone effect in print manually through Photoshop. 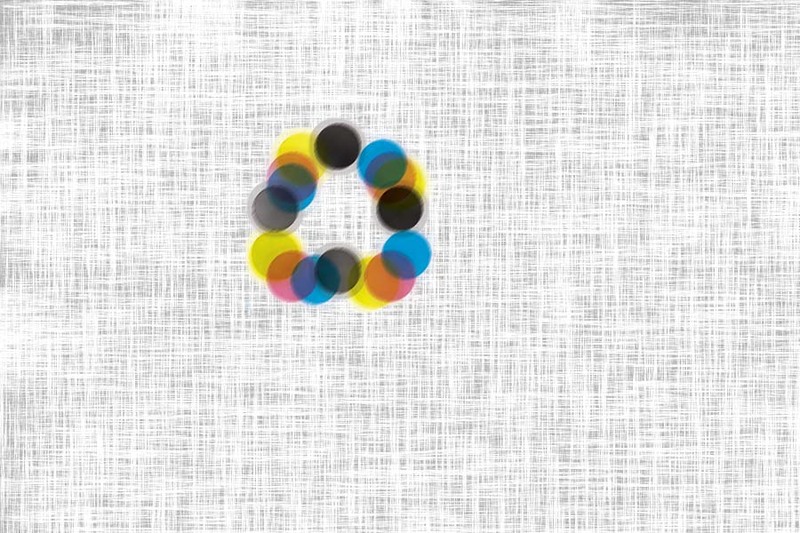 There is a filters > render > halftone that is the basic starting point, but the effect is a bit random. The dots vary in size based on the image pixel data, which is not how the plates actually work. This example posted here is from a series of filters. I’ll also insert the action if anyone wants to take a look. WordPress doesn’t allow posting the .ATN Photoshop file type, so this is manually saved as .DOC, delete that and replace with .ATN. Included is a “linen paper” action to create the background and a plate action for each C,M,Y,K layer. 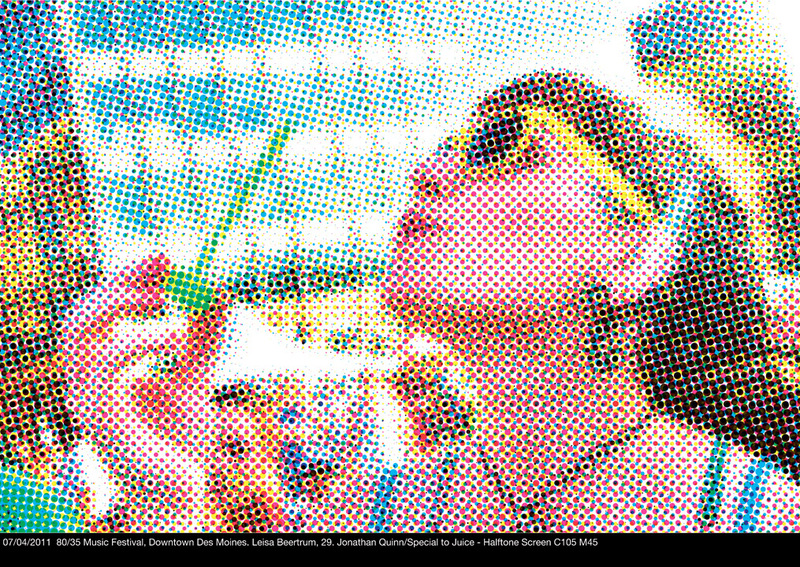 The intent of this project was to emphasize the halftone effect in a larger than normal format. When printing with a dot screen, the color patterns are set at adjacent 45° angles to prevent then moire pattern. The 45° or horizontal screen is considered to be the prominent plate in a color set, and is typically black. The images are posted in RGB for optimal viewing on a monitor. In these two examples I have included the original caption information from the photographer (not me), and screen angle notes.